Welcome to “Alfred Hitchcock and Me,” a blog by me, Adam Philips. If you know me, you probably know that I’m a big fan of music, TV, comics, books and movies. And while I work by day in Marketing at DC Comics, I’m here to talk movies. I love movies, and thanks Turner Classic Movies, I’ve been able to catch up on lots I’ve missed in the past. 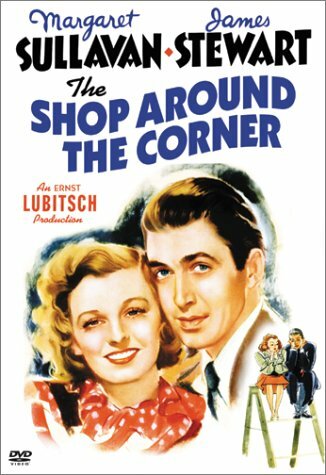 Just recently, for example, I watched “The Shop Around The Corner” and “High Sierra,” both for the first time. “High Sierra” offers a great look into the old Hollywood studio system. Here, Ida Lupino gets top billing over Humphrey Bogart, yet it’s Bogart’s movie from start to finish. The action traces his story arc as Roy “Mad Dog” Earl, who is paroled from prison, brought in on a heist and tied to a farm family heading for California. 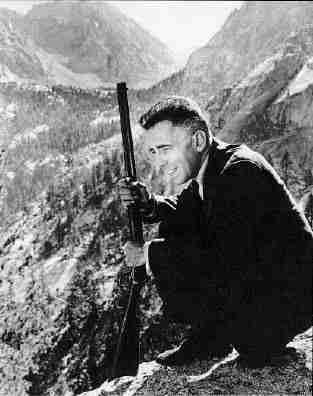 After the heist goes south, the police corner him in the Sierra mountains, where (spoiler!) he is shot when his position is given away by the barking of his loyal dog. Yes, Lupino is there from about 20 minutes in, and nominally, she’s the star, but it’s Bogart’s movie. He’s in virtually every scene of the movie, and every step of the way he commands the camera and dominates his fellow actors. From that time on, he would be a star. Meanwhile, in “The Shop Around the Corner, also from 1940, I was pleased to see Frank Morgan, fresh off his multiple roles in “The Wizard of Oz,” who is delightful and understated as the owner of the titular shop. Since then, I’ve watched “The 400 Blows,” “Passage to Marseilles,” and “Becket,” all great movies in their own ways. For years now, I’ve been in the habit of looking at TCM’s schedule for movies I want to see, and every week, I watch for find movies directed by Alfred Hitchcock. 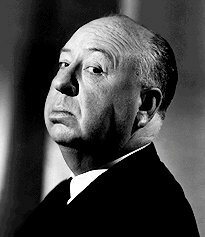 Has any director ever equalled the career of Alfred Hitchcock? You could make arguments for other filmmakers in one specific area or another, but when you add up his accomplishments, Hitchcock is the greatest director ever. Hitchcock was prolific, thrilling, subversive, surprisingly funny, often tender. On top of that, he was a brand, thanks to his TV series, magazine and books; from the late 1940s, he was labeled “The Master of Suspense” by his studios’ publicity departments. He also was a natural showman, starring in his own movie trailers and introducing his TV shows with a droll sense of humor. And recently, I realized I had only seen fourteen of his movies – which meant that my impressions of his career were based on only about a quarter of his film output. As the line at the top of this page says, I consider myself a film buff. Okay, I admit I’m not a walking encyclopedia of film – I certainly don’t have the depth of knowledge of, say, Glenn Kenny. But I’ve watched my share of movies, and then some. 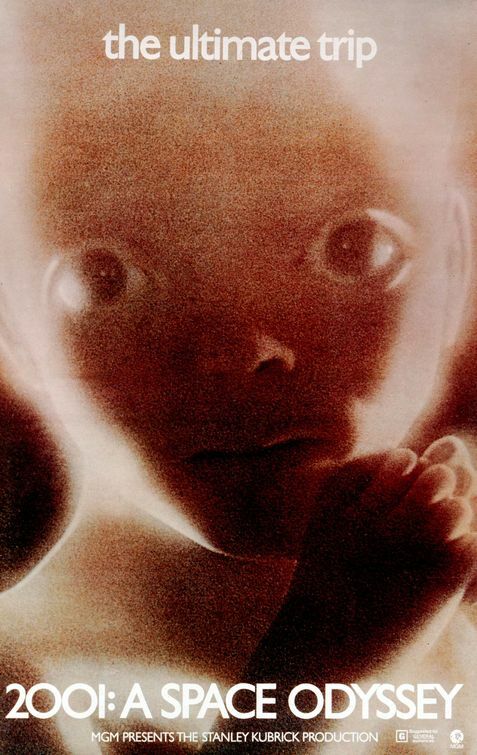 When I was a kid, my paternal grandfather took me to science fiction movies that were waaay over my head, like “2001: A Space Odyssey,” as well as “Planet of The Apes,” “The Andromeda Strain” and “Marooned” (a major bore). And during the years I went to Syracuse University, I probably spent more time watching movies than going to classes. I know that watching a bunch of movies may not measure up to Julie Powell’s quest to cook her way through Julia Child’s “Mastering The Art of French Cooking, but that’s okay.” You have to follow your passion, and watching movies is a big one for me. Also, I don’t plan to get into his television work. While he appeared on “Alfred Hitchcock Presents” and its successor, “The Alfred Hitchcock Hour,” he only directed about twenty episodes total. So I’m going to skip over them, unless I get really ambitious. As to his propaganda films produced during World War II – at this point, I’m on the fence about them. We’ll see how it goes. Lastly, I’m going to try and apply the same critical judgment to these films that I did back in 1986 when The Beatles’ albums were first issued on CD. Every time a new one was released, I would rush home and listen to it as though I’d never heard it before — and, in some cases, I hadn’t heard the British version of the album, or I hadn’t listened to a particular album in many years. The point is, I came to them with fresh ears, and it’s with that sense of open-mindedness that I want to approach these movies. Where will this quest take me? Will I learn more about the language of film? Will I explore my own inner dramas as I watch Hitchcock work out his own issues onscreen? Will my family lose patience with me spending too much time watching all these weird old movies?